The award is presented annually by Partners in Amphibian and Reptile Conservation (PARC) in memory of Alison Haskell (1956 – 2006) to recognize an individual in North America who exemplifies extraordinary commitment to herpetofaunal conservation, as did Alison. Nominees can live anywhere in the world, but must conduct their herpetofaunal conservation work in active PARC areas; see map within nomination form. Current voting members of PARC’s Joint National Steering Committee (JNSC) are not eligible for nomination. See nomination form for list of current voting members. Any individual who has displayed exemplary commitment to building or strengthening partnerships: (1) with stakeholders outside the individual’s agency or organization, or (2) with nontraditional stakeholders (i.e., stakeholders with whom an individual or agency did not previously interact), or (3) that promoted efficiencies in herpetofaunal conservation through partnerships. Any person who has displayed distinguished career-long contributions to partnerships and herpetofaunal conservation. Special consideration will be given to any person who has exhibited tenacious effort, leadership and professionalism in a manner that is inspiring to their peers, and who has been overlooked by other means of acclaim. Please submit all nominations to haskellaward@parcplace.org. PARC has an open nomination period each autumn. The open-nomination period is announced via the PARC listserv. You can sign up for the PARC listserv here. Award recipient will be notified by or before mid-January, 2018 by e-mail and mail with a letter stating the accomplishment(s) of the Award winner meriting its receipt, signed by PARC Joint National Steering Committee Co-chairs. Award presentation logistics will be discussed upon notification. This Award will be presented annually in conjunction with the March meeting of the PARC Joint National Steering Committee, typically held at the North American Wildlife and Natural Resources Conference (NAWNRC). The award includes a cash award of $1000 and an engraved, commemorative plaque. In addition, the award winner will be publicly recognized in PARC announcements and news releases, as well as in person during the award presentation. Alison was born on December 26, 1956 in Berkeley, California, and grew up on the coast of Massachusetts. She received a B.S. and M.S. in wildlife biology from the University of New Hampshire and University of Massachusetts, respectively. Her Master’s thesis focused on population ecology of the Plymouth red-bellied turtle. She studied at Tufts University Veterinary School where she also worked as the chief veterinary technician at the Wildlife Clinic for 5 years, and become noted for her exceptional ability in handling raptors. 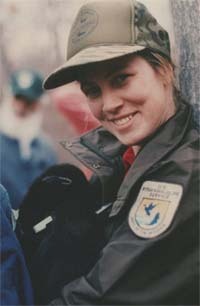 In 1993 she joined the US Fish and Wildlife Service as a Wildlife Research Specialist in the Division of Federal Aid. Alison’s unique and extraordinary blend of skills, ranging from wildlife health to population viability analyses, suited her extremely well in administering a wide variety of grant programs, including Section 6 Endangered Species, Wildlife Restoration, Partnerships For Fish and Wildlife, Wildlife Conservation and Restoration Program, and State Wildlife Grants. Alison’s passion for wildlife may have been exceeded only by her compassion for her fellow humans, and she channeled that professionally by becoming adept at conflict resolution and facilitation. She assisted many Service and State fish and wildlife agency programs as a trainer and facilitator. She left Federal Aid in 2003 to become the first ever Federal Coordinator for Partners in Amphibian and Reptile Conservation (PARC) having previously served on the start-up committee for Northeast PARC and as co-chair of NEPARC from 2000 to 2002. Unfortunately, her tenure with PARC was tragically shortened due to a diagnosis of ovarian cancer. In 2006, after a valiant battle, Alison succumbed to the disease. Members of PARC aim to keep her memory alive through the annual Alison Haskell Excellence in Herpetofaunal Conservation Award. PARC couldn’t be happier to announce that Sandy Durso has been selected as the 2019 recipient of the Alison Haskell Award for Excellence in Herpetofaunal Conservation! Sandy provides a very unique contribution to amphibian and reptile conservation – she researches, designs, and constructs amphibian and reptile costumes! These beautiful and highly detailed costumes are used to excite and engage tens of thousands of adults and children each year at museums and education centers around the country and help to advance people’s knowledge, empathy and appreciation of herpetofauna and other wildlife (see examples of Sandy’s costumes on Facebook: AnimalCostumesDressmakingDesignBySandyDurso). In collaboration with partner organizations such as the Palo Alto Junior Museum and Zoo, Shaver’s Creek Environmental Center and the North Carolina Museum of Natural Sciences, over $25,000 has been awarded to support the construction of these costumes so that they meet the specific educational goals of each partner. Children who use these costumes to role play, or who see the productions in which they are used, foster a lasting appreciation of wildlife and the environment. Sandy recalls one little girl who wore a Loggerhead sea turtle costume in a performance saying, “I AM the sea turtle!” The girl believed that with every movement she made, she was a hatchling digging her way up and out from her nest under the sand, following the moonlight to escape dangers and racing towards the sea. So where did this passion for amphibian and reptile conservation begin? At home! Sandy raised two sons, Andrew and Kevin, both of whom were interested in wildlife biology from a young age and went on to become herpetologists. When they were growing up, Sandy took the time to build a pond with Andrew and Kevin in their backyard. Over the years, they were inspired by the many species of amphibians and reptiles that visited the pond. 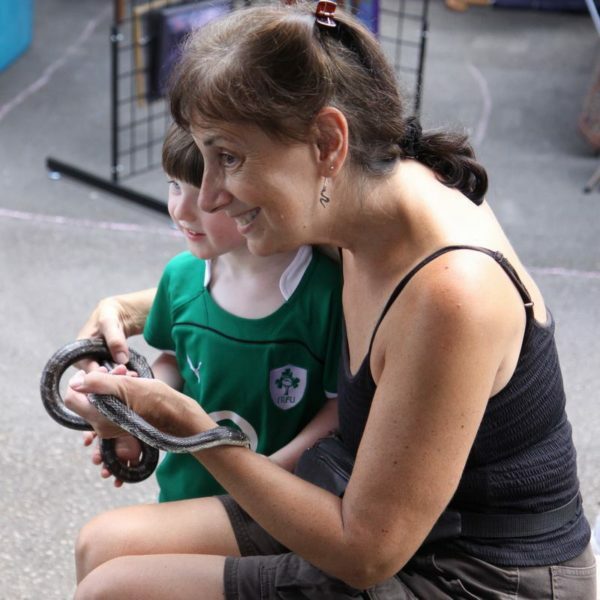 Sandy also got inspiration from volunteering and serving in a variety of roles with the North Carolina Herpetological Society, something she has done since 2002. The Joint National Steering Committee and other PARC partners were privileged to hear Sandy speak about her work at the 2019 North American Wildlife and Natural Resources Conference in Denver. All were in great admiration of Sandy and her commitment to her family, amphibians and reptiles, and conservation in general as well as the extensive network she’s established to facilitate this work. Sandy perfectly embodies the spirit of this award and we are grateful for the unique services she provides to the field of herpetofaunal conservation. Congratulations, Sandy! It is PARC’s pleasure to announce Don Becker as the 2018 recipient of the Alison Haskell Award for Excellence in Herpetofaunal Conservation! Don donates countless hours of time and energy toward the development of numerous data collection and citizen science platforms, including, but not limited to HerpMapper.org, IowaHerps.com, INHerpAtlas.org; SDHerps.org, MIHerpAtlas.org, and PAHerpSurvey.org. They are all amazing accomplishments, and in particular, the utility of HerpMapper is unprecedented. This global herp atlas contains over 200,000 observations and is used by more than 50 entities, including federal and state agencies, universities, museums, non-governmental organizations, and others. The commitment to protection of herpetofauna by only displaying county-level locations is critical, and greatly appreciated by those who share Don’s passion to conserve these remarkable animals. He also invests his own time and equipment in restoring habitat for herpetofauna. For example, a county park near Don’s home was historically sandhill habitat, but had become overgrown with cedar and other vegetation. The county did not have the staff or resources to restore the habitat. After securing permission from the county, Don went out weekend after weekend, systematically clearing the vegetation and using his own chainsaw to fell trees. Other colleagues purchased chainsaws and joined him in his efforts. These weekend jaunts turned into a multi-year effort due to the large acreage and small work force. Eventually, the habitat was restored! Don expresses his outstanding passion for, and dedication to, conservation of amphibians and reptiles through quality programming, education and partnerships. Despite not being trained in herpetology, or even computer programming, he has an undying commitment to herpetofauna just due to his sheer love of the animals. Don exemplifies our Core Value of Inclusivity and Collaboration, and is a true unsung hero in herpetofaunal conservation. Don is a selfless person, and his work is inspiring. We are thankful for his significant contributions to the field of amphibian and reptile conservation; he is a very worthy recipient of this award. Congratulations, Don! PARC is excited to announce that Greg Lipps was selected as the 2017 recipient of the Alison Haskell Award for Excellence in Herpetofaunal Conservation! 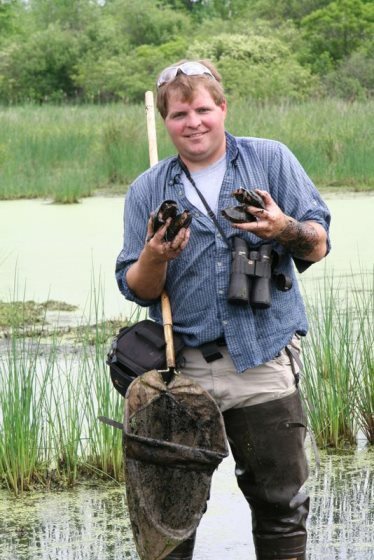 Greg is the Amphibian & Reptile Conservation Coordinator for the Ohio Biodiversity Conservation Partnership at Ohio State University. As you see in the picture to the right, it is not uncommon to find Greg with his hands full with herp conservation actions – both literally, and figuratively! His many accomplishments include more than ten years of conservation efforts for Eastern Massasaugas (Sistrurus catenatus), a Federally Threatened species; coordination of the Ohio Hellbender Partnership, which includes 30 public and private partners; a decade-long commitment to organizing biennial Ohio herpetological conferences; and serving as editor of and contributing author to Amphibians of Ohio. Greg has coauthored peer-reviewed, scientific journal articles on a wide variety of herpetological topics, including Eastern Hellbenders (Cryptobranchus a. alleganiensus) and chytrid fungus, Eastern Box Turtle (Terrapene carolina) identification, Black Pinesnake (Pituophis melanoleucus lodingi) habitat selection, and Blanchard’s Cricket Frog (Acris blanchardii) and persistent organic pollutants. Greg is a member of several professional herpetological groups, including Society for the Study of Amphibians and Reptiles, Society for Conservation Biology, and Ohio Biological Survey. Greg is also a member of and has made significant contributions to PARC. He has been involved with PARC since its inception in 1999; is a co-founding member of MW PARC, where he served in roles such as Co-chair, Steering Committee Member, and members of various task teams over the years; and most recently, Greg spearheaded the formation of OH PARC (website redesign coming soon!). He also created a species-ranking system for MW PARC, which has been invaluable in developing conservation priorities. It is not enough for Greg to be fully immersed in his own conservation activities (which are significant), because he is enthusiastic about recognizing and seizing opportunities to further the efforts of others. His tireless enthusiasm and drive are exactly what these creatures need to garner funding and gain support from those who don’t understand the needs of our herpetofauna. The depth of his passion and breadth of his knowledge are truly inspiring. He recognizes the human element of conservation and it’s evident through the genuine relationships he builds with all kinds of people. Greg is such a humble and kind person, despite his many accomplishments. We are truly grateful for the work he has conducted on herpetofaunal conservation over the years and are proud to bestow him with this award. Congratulations, Greg! PARC is proud to announce the 2016 recipient of the Alison Haskell Award is Linda Weir. Linda is admired for the “friendly, relaxed nature [in which she] facilitates challenging discussions and strengthens cooperation among diverse partners. [Linda offers] positive perspectives in challenging situations.” Linda has been resolute in her commitment to PARC, as evidenced by her 16 years with Northeast PARC and PARC. From 2013-2015, Linda served as Co-chair of PARC’s Joint National Steering Committee. Linda graciously continued to participate on planning calls held by the Executive Committee (ExComm) of PARC even after her term expired to provide continued oversight to ExComm and assist with co-chair transitions. While she was Senior Co-chair, she spearheaded the development of the Communicating Herpetofaunal Conservation to the Public Symposium through the Alan Alda Center for Communicating Science at the annual meeting of the Society for the Study of Amphibians & Reptiles. She coordinated the US Geological Survey (USGS) North American Amphibian Monitoring Program (NAAMP) for 15 years – a collaboration with 24 state partners and over 500 volunteers. 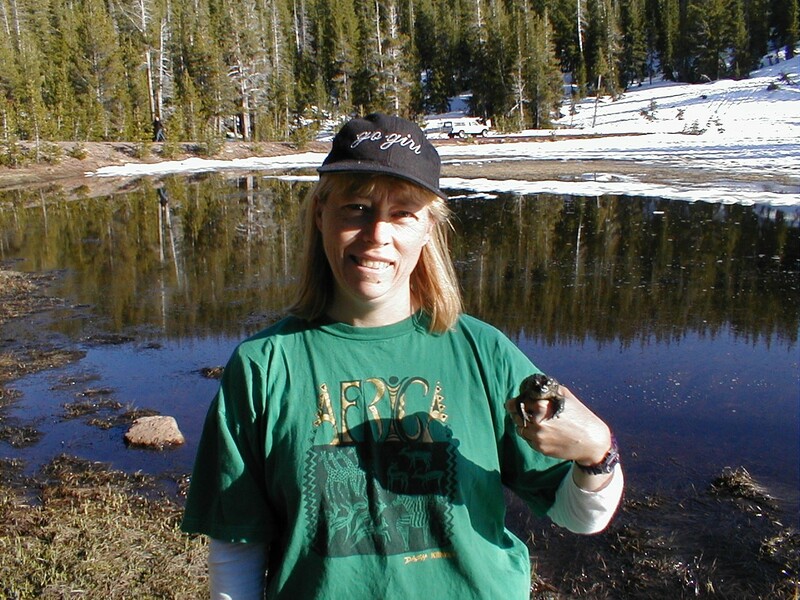 Linda’s role in this program prompted her to initiate the “first multi-year occupancy trends from [NAAMP] data in 10 northeastern states.” Linda developed the USGS Frog Quiz, an online testing tool for NAAMP observers and the public. Linda also served as an editor for the 352-page book North American Amphibians – Distribution and Diversity. 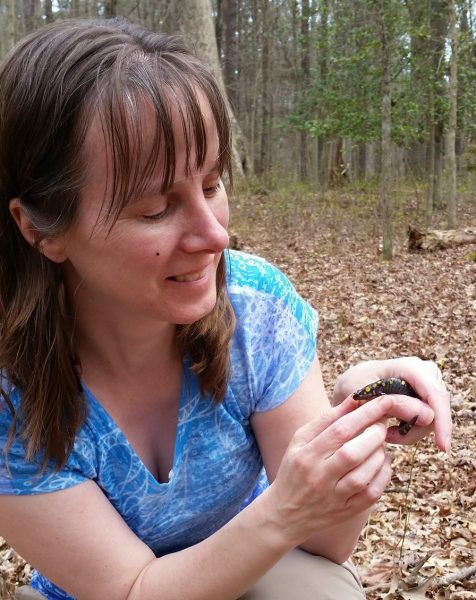 Her other work on amphibian distributions includes serving on the steering committee of the Maryland Amphibian and Reptile Atlas and managing USGS National Amphibian Atlas data for 9 years. Linda filled a variety of roles in Northeast PARC over the years; she has been a principle meeting planner for many annual meetings, co-hosted the 2000 meeting, was webmaster for the website for 12 years, managed the listserv for 5 years, filled the role of co-chair for 2 years, led the herpetofaunal photo archive effort, was pivotal in completing Risk Assessment – Species Data Matrices: Biological Attributes that may Contribute to Vulnerability for herpetofauna, coauthored the brochure Your Backyard Guide: Helping Amphibians and Reptiles, and participated as a Northeast PARC Steering Committee for 6 years. These examples provide just a small sample of the work Linda has done for amphibian and reptile conservation over the years. As you can see, Linda is a very deserving recipient of the Haskell Award. Northeast PARC and National PARC are very grateful to her for all the many efforts she contributed since PARC began! PARC is proud to announce the 2015 recipient of the Alison Haskell Award is John Jensen. John’s peers describe him as “productive and encouraging,” and “an ardent conservationist.” He has played a key role in conservation efforts involving diverse players ranging from the private sector (including corporations as big and influential as Georgia Power), state and federal government, conservation organizations such as The Orianne Society, citizens, and researchers. He was the lead Editor of the book, Amphibians and Reptiles of Georgia, which was completed with the involvement of dozens of authors and photographers, and with funding from multiple sources. Most notably, John has directly contributed to the conservation of imperiled amphibians and reptiles. 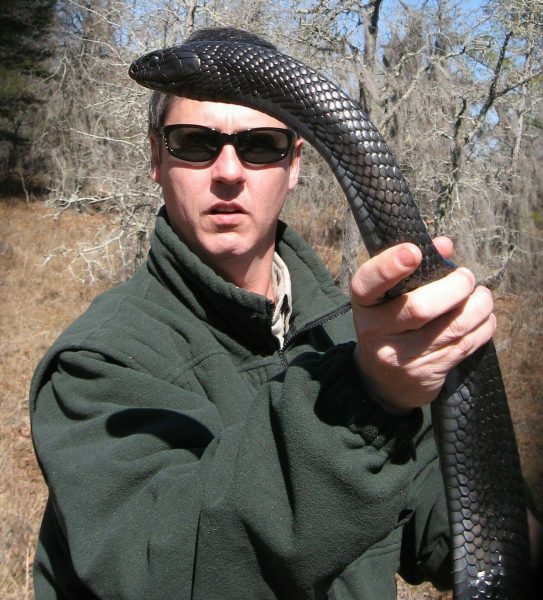 He has been at the center of the Indigo Snake repatriation project in Alabama, expediting collection and transport of Georgia snakes for the captive breeding program. This has directly resulted in the successful repatriation of this federally threatened species in Alabama. John was the nexus between partners at Auburn University, Project Orianne, Zoo Atlanta, and state and federal governments, and it is unlikely that this project would have succeeded without his influence. Similarly, a project involving players from Zoo Atlanta, The Atlanta Botanical Gardens, and the University of Georgia successfully reintroduced Gopher Frogs from captive-reared donor populations to sites with suitable habitat within Georgia. This effort was an attempt to boost numbers of this rare frog and preclude its need for listing as an endangered species. Another major accomplishment that John led was in gaining protection for Georgia’s freshwater turtles. This effort required keen political skills and an unprecedented publicity campaign. Through his influence as the Georgia state herpetologist, John was able to move a piece of legislation through the conservative state government to finally protect aquatic turtles. 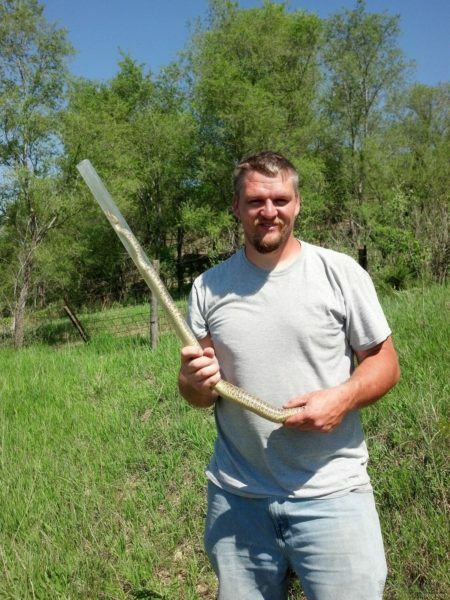 Finally, through his efforts and partnerships, John was able to facilitate the conversion of two rattlesnake roundups to wildlife festivals despite reluctant event organizers. John was able to allay their concerns, and he was able to convince them to convert the Fitzgerald roundup and the Claxton roundup (once the state’s largest) into a festivals that focus on education and wildlife appreciation. Neither event now harms snakes nor relies on wild-caught individuals. John’s efforts and achievements have touched and influenced many people along the way, significantly improving the herpetofaunal conservation landscape in Georgia in the process. PARC thanks John for all of his dedication and commitment, and his embodiment of an unsung hero! PARC is proud to announce that the 2014 recipient of the Alison Haskell Award is Dr. Jeffrey T. Briggler! 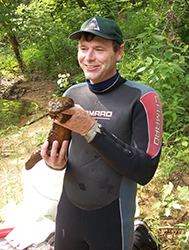 Jeff is most widely recognized as a leading expert in hellbender ecology, and has collaborated with partners across state and agency lines to help reverse population declines. His collaborative endeavors to further species conservation extend from local, state, and federal to international partners. He freely shares with others his knowledge regarding survey techniques, disease testing and treatment, and husbandry and propagation protocols, which has benefited hellbender researchers studying cryptobranchids throughout the world. He is also a founding member of the Ozark Hellbender Working Group, which began in 2001. Many of this group’s accomplishments can be attributed to Jeff’s leadership and dedication. In 2011, Jeff’s efforts helped to realize a major triumph: Ozark Hellbenders were bred at the Saint Louis Zoo, marking the first time hellbenders had bred in captivity! This success was surpassed in 2012 when Ozark Hellbenders bred again at the zoo, resulting in eight egg clutches. Captive breeding was an incredible feat involving over ten years of collaboration, and will help Ozark Hellbenders persist while population declines in the wild are investigated and addressed. Jeff is not only committed to hellbender conservation, but to conservation of all herpetofauna throughout the state of Missouri and beyond. He oversees state regulations and protections for all herpetofauna in Missouri, extensively documents the distribution of amphibian pathogens throughout the state, conducts a variety of research and monitoring, and works with land managers to encourage land management practices conducive to herpetofaunal conservation. He also makes the time to disseminate his conservation findings through peer-reviewed publications and presentations to both professional audiences and audiences of the general public (including popular media). Jeff’s passion for conserving herpetofauna touches all those with whom he interacts. His ability to bring professionalism, scientific rigor, and a collaborative approach to his work, while still maintaining his enthusiasm and fascination with the animals, is truly the key to successful conservation. PARC thanks him for his tireless and continued passion, work and dedication to amphibians and reptiles! PARC is proud to announce the 2013 recipient of the Alison Haskell Award was Charles Painter. Charlie’s career long contributions to herpetofauna conservation, leadership roles and ability to build effective partnerships make him a very deserving winner of this award. Through this award, PARC recognizes Charlie’s outstanding passion for, and dedication to, conservation of amphibians and reptiles through quality science, education and partnerships. He has formed numerous partnerships to implement conservation actions with local, state and federal agencies, universities, tribes and private landowners, among others. Charlie has developed conservation teams, plans or actions for the Jemez Mountain Salamander, Sacramento Mountain Salamander, Chiricahua Leopard Frog, Dunes Sagebrush Lizard, New Mexico Ridge-nosed Rattlesnake, Boreal Toad, Western River Cooter, Big Bend Slider and all of New Mexico’s other fascinating herpetofauna. He’s developed and fostered a strong relationship with the Museum of Southwestern Biology at the University of New Mexico, through which one of the strongest herpetofauna collections in the nation has been built and maintained. He’s displayed tenacious effort by developing commercial trade regulations for New Mexico’s amphibians and reptiles and studying rattlesnake roundups in the region. Also, Charlie has participated in Southwest PARC and assisted in numerous regional and national PARC efforts to compile information on our nation’s amphibians and reptiles. His academic achievements have significantly advanced herpetofauna conservation. 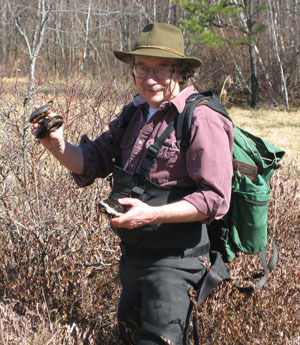 He’s served on thesis and dissertation committees that shaped several scholars in herpetology that have gone on to make valuable contributions to the scientific community. Charlie has authored over 80 peer reviewed articles, served as editor for Herpetological Review, became the first state herpetologist for the New Mexico Department of Game and Fish and has remained committed for over 25 years, and authored the 1996 book Amphibians and Reptiles of New Mexico. In addition to these accomplishments, he still finds time to teach school children about the importance and fascinating nature of amphibians and reptiles. Charlie’s achievements are truly noteworthy and deserve great recognition from the herpetofauna conservation community. PARC thanks him for his tireless and continued passion, work and dedication to amphibians and reptiles! PARC is proud to announce that the winner of the second (2012) Alison Haskell Award for Excellence in Herpetofaunal Conservation was Dr. Deanna (Dede) H. Olson. Dede earned her Ph.D. at Oregon State University in Corvallis. Among her many roles she now serves as Leader of the Aquatic Ecology and Management Team for the U.S. Forest Service where she is employed as Supervisory Research Ecologist at the Pacific Northwest Research Station in Corvallis. Additionally she is a Courtesy Faculty member at Oregon State University, an Associate Editor for Herpetological Review and past Associate Editor for the Northwestern Naturalist, out-going Co-Chair of Partners in Amphibian and Reptile Conservation where she will continue to serve as an ex-officio member of Joint National Steering Commmittee, and the Lead of the Aquatic Biodiversity in Forests working party for the International Union of Forest Research Organizations. Prior to becoming the Co-chair of the Joint National Steering Committee of Partners in Amphibian and Reptile Conservation she was the Co-Chair from 1999-2009 of the PARC Northwest Regional Working Group. Other partnerships she developed include with the Society for Northwestern Vertebrate Biology where she has served as both Vice-President and President and the Pacific Northwest Working Group, Declining Amphibians Populations Task Force where she served as Co-chair. Dr. Olson has fostered conservation through research, often in partnership with land managers, and through outreach and education. Dede is well-known for her leadership of the Riparian Buffer study that she initiated in 1994 in conjunction with the Bureau of Land Management. She has been at the lead of an international effort to characterize the global extent and implications of amphibian declines associated with the fungus known as Bd. She has also taken a leadership role in The Year of the Turtle (2011) and The Year of the Lizard (2012). Dr. Olson provides a broad range of service across scientific working groups, mentorship, and conservation education. Of particular importance has been the role Dede has played as mentor. Through various university affiliations, she has served as guiding professor for 8 students and a committee member 26 students. Additional she has mentored both undergraduate and high school students. She has served as chair and in other leadership positions for several professional societies. Most recently she serves as a committee member of an international group focused on aquatic biodiversity. In this role Dr. Olson organized a symposium for the 2010 International Union of Forest Research Organizations World Congress in Seoul, Korea. Dede’s work in the area of conservation is reflected in her over 90 publications that directly address conservation of biodiversity. Our first-ever Alison Haskell Excellence in Herpetofaunal Conservation Award winner was Alvin R. “Al” Breisch. Al was the Amphibian and Reptile Specialist with the New York State Department of Environmental Conservation for 26 years until he retired in 2009. He is a current National Co-Chair of PARC, and was a founding member of Northeast PARC. Al Breisch fostered herpetofaunal conservation for his entire adult life, through his chosen career with the state of New York, as well as in his participation in multiple groups such as PARC, partnerships with universities and other organizations such as The Nature Conservancy and the Wildlife Conservation Society, mentorship of students of all ages, and leadership in numerous efforts to conserve multiple species of herpetofauna within New York and across the country. Assisting the Albany County Office of Natural Resource Conservation with planning and design of New York’s first amphibian tunnels, constructed in 1999. Breisch may be best known for his role as Mentor. He has provided technical assistance to NYDEC staff, students, faculty, and independent contractors with their field studies of various amphibians and reptiles from throughout the Northeast to Texas and to the West Indies. He has taught at SUNY-Cobleskill and has been an invited speaker to numerous colleges and university classes. He has served as thesis advisor and on graduate student committees at the State University of New York at Albany, SUNY Environmental Science and Forestry, and Bard College. 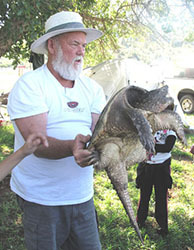 He has led countless school groups, 4-H clubs, scouts, college classes, as well as his two daughters and now his grandchildren, on field trips to show them the natural world, particularly the herpetofauna he loves. Conservationists young and old, local and nationally known, and from numerous agencies and organizations, have enjoyed working with, and being inspired by, Al’s dedication, expertise, gentle nature, and quiet wit. In his retirement Al continues to oversee several projects including the NYS Amphibian and Reptile Atlas, and on many a rainy night, he can be found near the amphibian tunnels built near his home monitoring their effectiveness. PARC congratulates our “unsung hero” Al Breisch as our first-ever Alison Haskell Award winner.